Cozy comfort for the heart of your home. Whether you need something perfect for lounging on a lazy Sunday, relaxing after a long day's work or entertaining family & friends, look no further than Exclusive Furniture's supurb selection of affordable couches and loveseats! With so many styles and colors available, we're sure to have something that fits your tastes and budget. The Florence loveseat, with subtle curves and nailhead trim, brings a light and pleasant atmosphere to your living room. In a soothing grey shade, this loveseat adds a sense of peace to your surroundings. Beautifully blending elements from the past and present, our Bay Ridge loveseat gives traditional style a new flair. 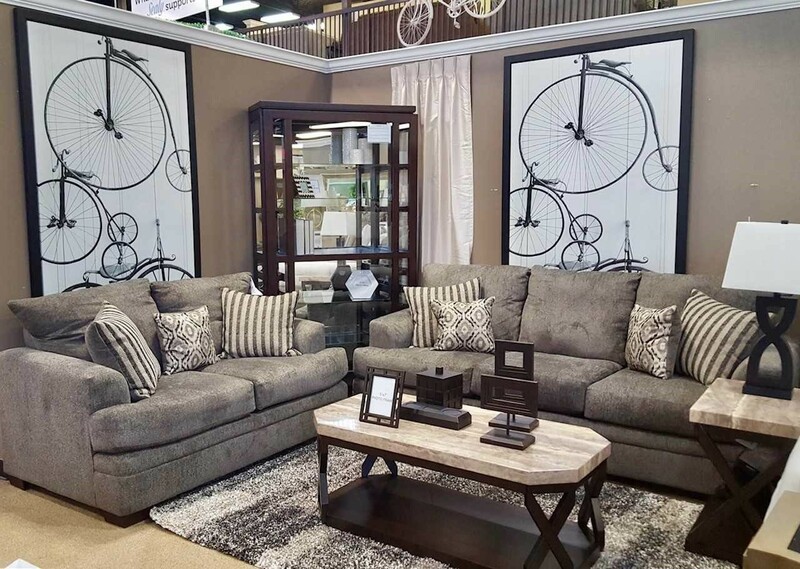 Classic details like tapered legs, gentle roll arms and tailored welting meet an on-trend grey shade allowing you to enjoy this tasteful, versatile piece with any variety of living room styles. Adorned with pewter nailhead trim and featuring four accent pillows, the Asia Fawn Brindle loveseat makes an elegant addition to any living room. Box style back pillows and seat cushions, tapered arms and wooden, tapered feet make this beauty a contemporary masterpiece. The Classico Dark Brown Loveseat is exactly what you envision for a traditional, yet luxurious living room piece. The smooth dark brown leather selection allows this loveseat to command the attention in your humble home. There is no doubt that the Bella Grey Turner Loveseat will turn heads in utter amazement. Its relaxed tones and still smooth textures perfectly compliment the supportive comfort that this sofa brings to any living room of any style. Kick back and relax with the casual vibe of the Zorah Chocolate Loveseat. This loveseat is covered in a soft polyester velvet in a chocolate color. In addition, it incorporates traditional styles that will brighten your decor and make it easy to relax.